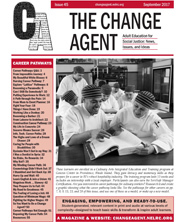 A publication of World Education, The Change Agent is a magazine for adult educators and learners that features writings by adult learners and others on topical social issues. The Change Agentpromotes social action as an important part of the adult learning experience. It has subscribers and connections with adult education programs in all 50 states. The magazine has 20 years of experience soliciting and editing writing from adult learners and subject matter experts, and building classroom lessons and extensions from that writing. 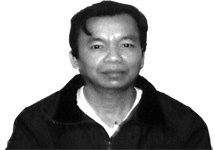 The topics of the theme-based issues range from the economic crisis to health to immigration. 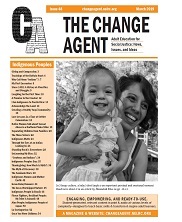 In addition to publishing two issues a year, The Change Agent has a website with audio recordings of selected articles that help learners work independently on their reading, listening, and speaking skills. The website also includes issue extras and useful aids for teachers, such as an index of articles by reading level, to facilitate classroom use. 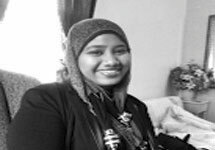 The magazines and website are available by subscription. 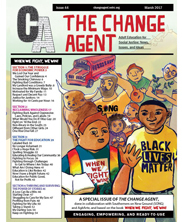 Change Agent Issue 44: When We Fight, We Win!